Like Trump, Netanyahu is opposed by the metropolitan middle class, uses Trump’s tactics of accusing his opponents and has struck a very confident tone amid corruption accusations, senior Real News editor Max Blumenthal told RT. Israel’s Prime Minister Benjamin Netanyahu could be facing several official charges over his alleged involvement in corruption cases as Israeli police say they have enough evidence to open a case against him. 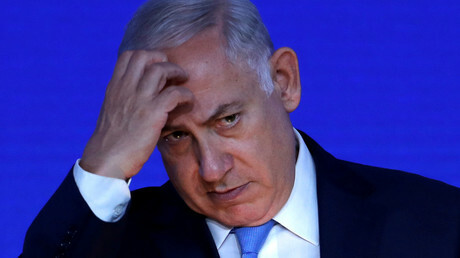 The accusations are connected with Netanyahu allegedly receiving gifts from businessmen — amounting to tens of thousands of dollars — and an alleged deal with a newspaper giving him positive coverage in exchange for a crackdown on a rival outlet. 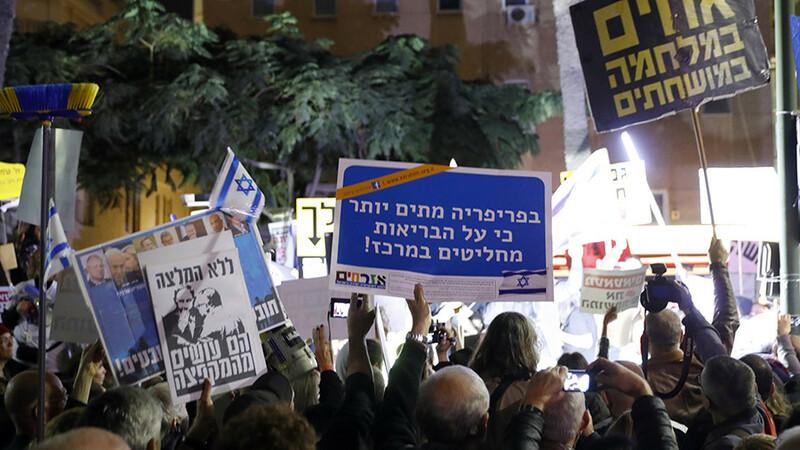 Protests over the allegations have been ongoing in Israel for months, though Netanyahu denies any wrongdoing, saying his time as Israeli leader is not up. RT discussed the scandal with Max Blumenthal, author and senior editor at the Real News, who thinks Netanyahu is taking a page out of the US president's playbook. RT:This scandal started back in 2017. Do you think firm proof will come out now? 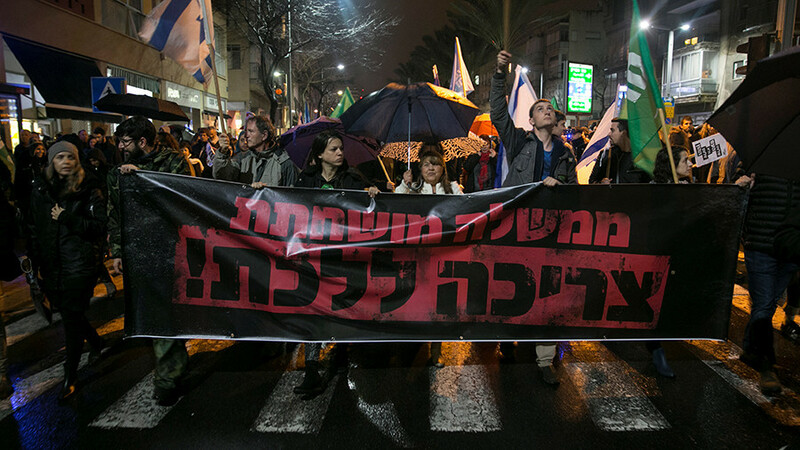 Max Blumenthal: All of the police officials of Israel have recommended an indictment. They have reviewed the evidence and have concluded that there is enough proof. Now all eyes are on Attorney General Avichai Mandelblit who is a very ambitious figure, someone who has been hounded himself personally by protesters even to his own synagogue. Mandelblit has ambitions to serve on the Israeli Supreme Court. And that puts him in an uncomfortable situation, he would have preferred for this government to have collapsed so he didn’t have to make this decision. If Netanyahu goes to trial after an indictment and he is acquitted Mandelblit, having called for Netanyahu to be put on trial, would look terrible and his Supreme Court ambitions would be destroyed. If he refuses to recommend an indictment, he will appear to lack independence, appear to be one of Netanyahu’s cronies. And that would also harm his ambitions. 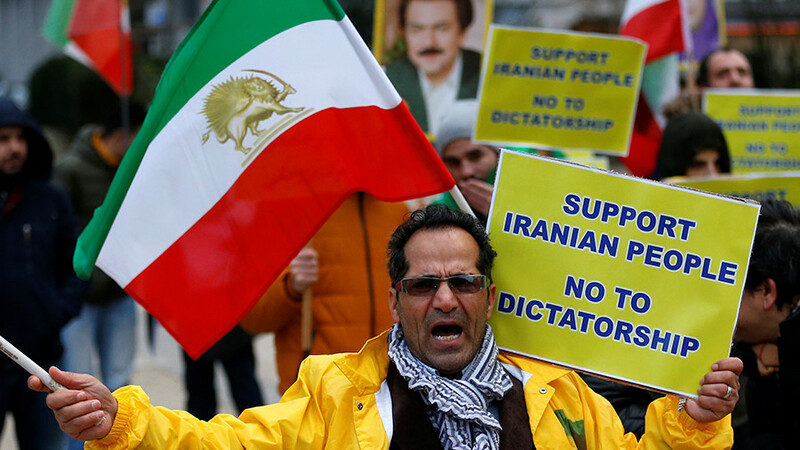 So, all focus is on one figure, who is a very private figure right now and the protests will continue and intensify. RT: The legal process in this case could take a very long time, the appeals could take years. Given that Netanyahu can’t be forced to resign until then, is this just a waste of time and a distraction from real issues? 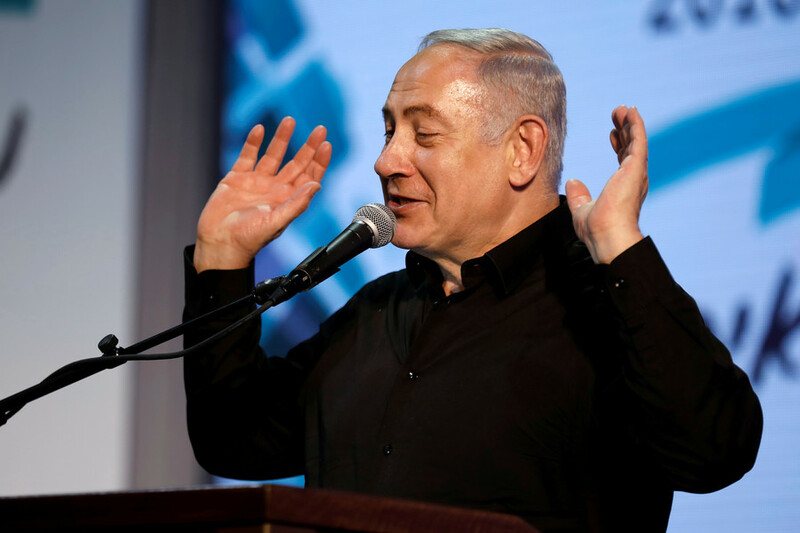 MB: Netanyahu is opposed by the kind of metropolitan middle class — very similar situation to what Donald Trump faces in the US, and Netanyahu is taking Trumpian tactics of accusing his opponents of fake news; he has struck a very confident tone. He is the most sophisticated political animal in Israeli political history. He is going to fight this. 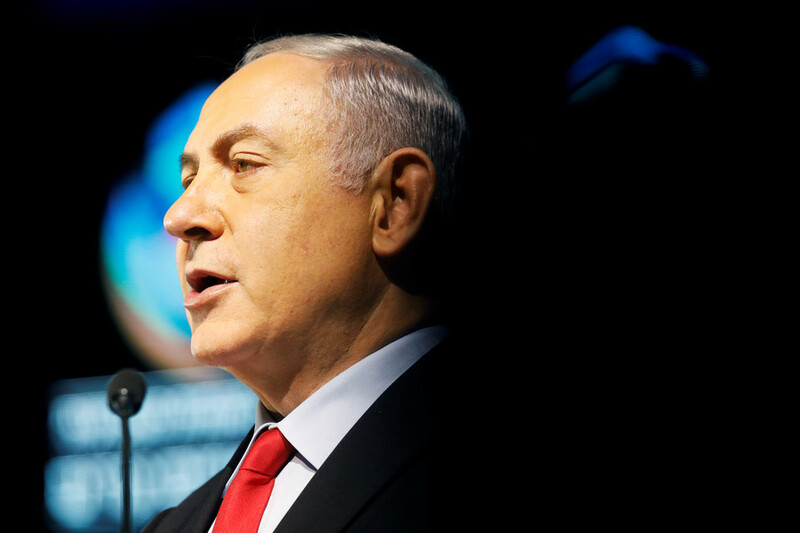 If you talk to the man in the street in Israel, although Netanyahu is unpopular by historic standards, he remains the most popular figure in Israeli politics today. RT: Netanyahu denies all the allegations, but has public trust and that of his fellow politicians already been lost for him? MB: Absolutely. President Reuven Rivlin who is a Likud party old-timer has suggested that if Netanyahu is indicted, he should resign — and the most interesting development is Sheldon Adelson, who is the owner of Israel’s largest paper, which used to push for Netanyahu and whom Netanyahu betrayed as part of case 2000, agreeing to reduce or harm the circulation of Adelson’s paper in exchange for favors from a rival paper. Adelson has thrown Netanyahu under the bus and Adelson is an incredibly powerful figure because he is close to Donald Trump. 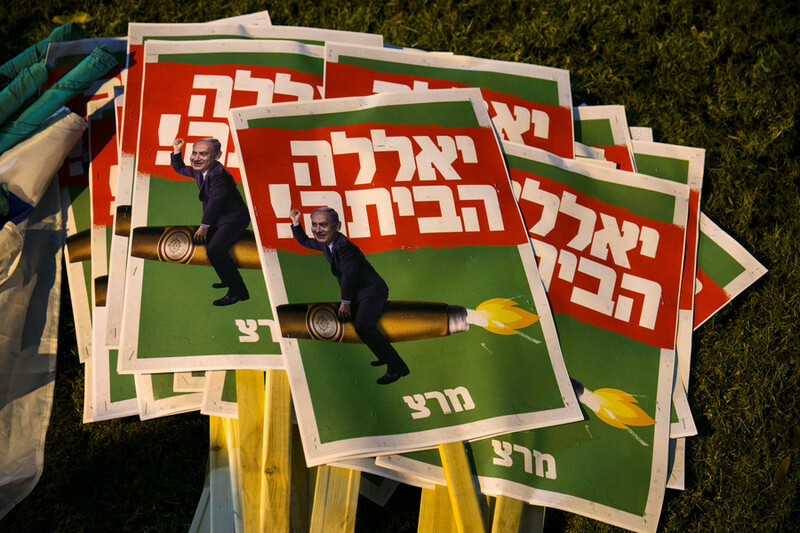 So, there all of these developments around Netanyahu and he now faces a two-front war — in the north with Syria and Iran, and at home, with all of his critics and figures within the Likud party who are gunning for the top position.